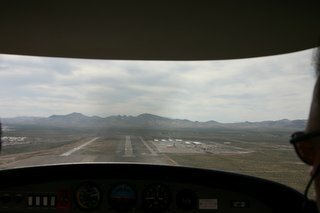 On final into Henderson Executive Airport (KHND). 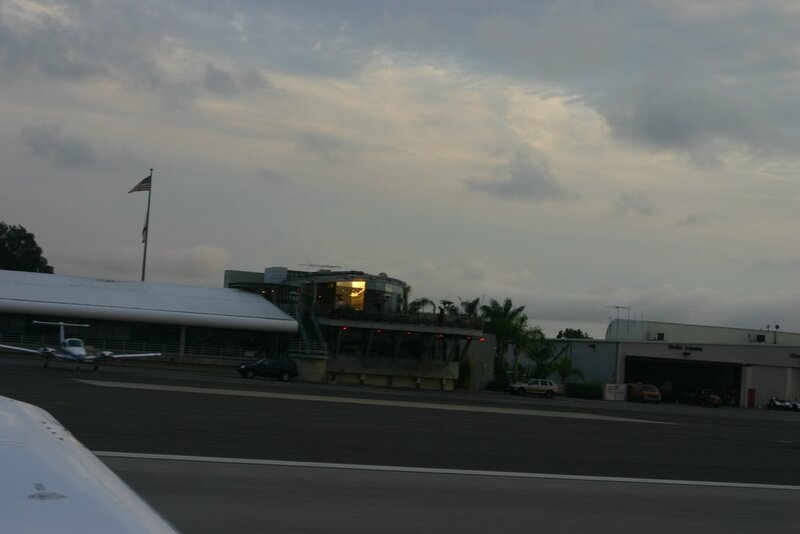 A great little airport. We might stop there again if we are going to our other project in Las Vegas (The Slammer), but it wasn’t the closest spot to the site. 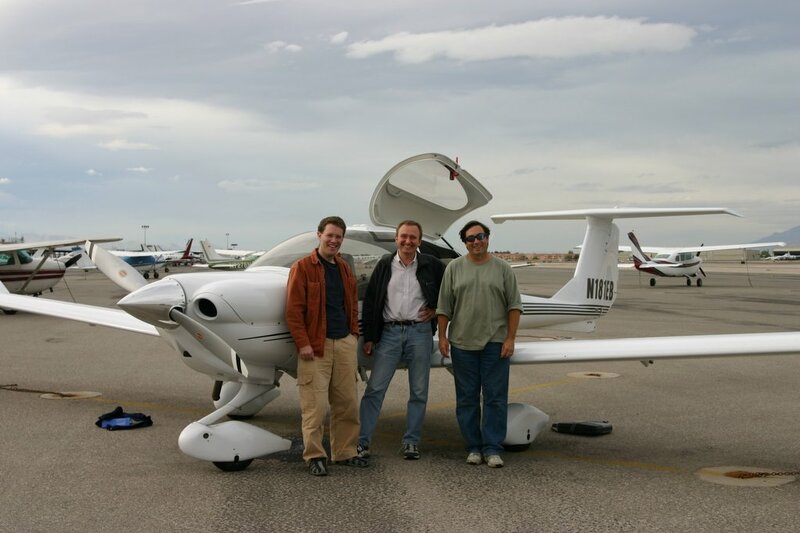 That would be Boulder City, where we will fly in next time. This is why it is great to have an airplane. 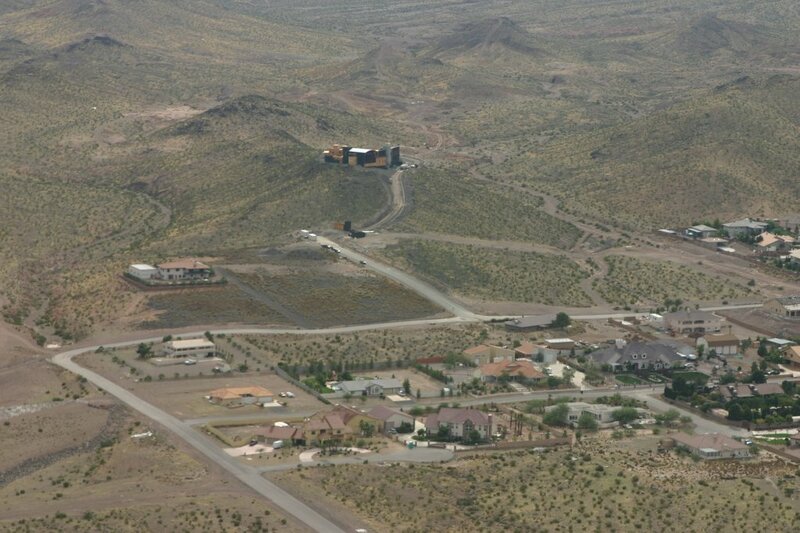 We left the Henderson airport, flew over a little ridge, and we were right on top of the Castle project. I’ve never seen it from the air. The eighty foot high hill it sits upon is more of a bump when you are a thousand feet above it. It was wonderful to see, though. We did a circuit and Bob took a bunch of photos. We were later than we had planned, so the desert floor was already heated, bouncing us around with thermals. I hit one bump and rapped our heads sharply on the ceiling. We all tightened our belts. 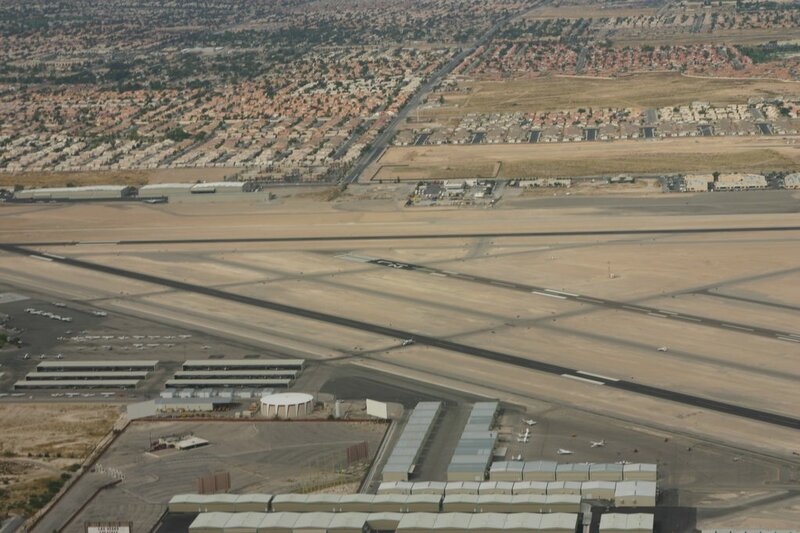 As we were navigating the Class Bravo airspace around McCarren we headed to KVGT, the North Las Vegas airport. 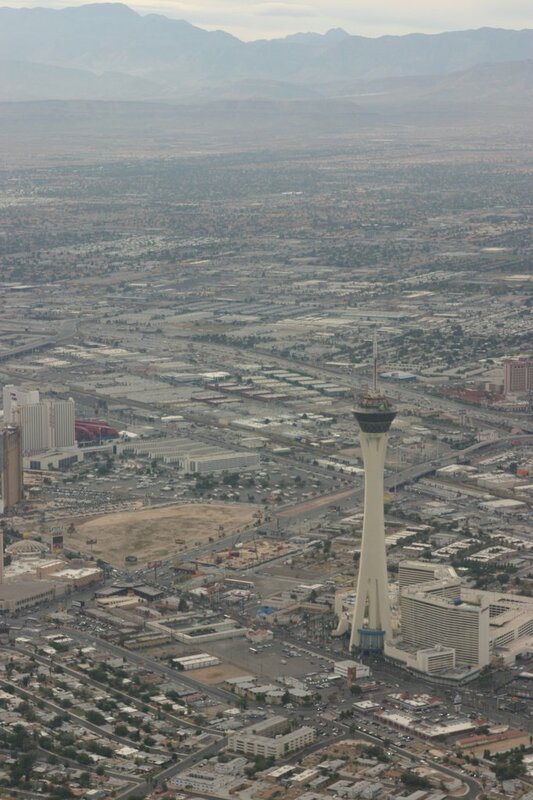 Robert was doing the radio work (I had my hands full just flying and watching the glass cockpit screens) and reported that we were “at the Stratosphere.” I looked out my window and we sure were. On the downwind for KVGT. 017 looked so narrow from up here… but it was fine once I was lined up. It was fun watching the Otters take off for the Grand Canyon while we were there. They went up like elevators. 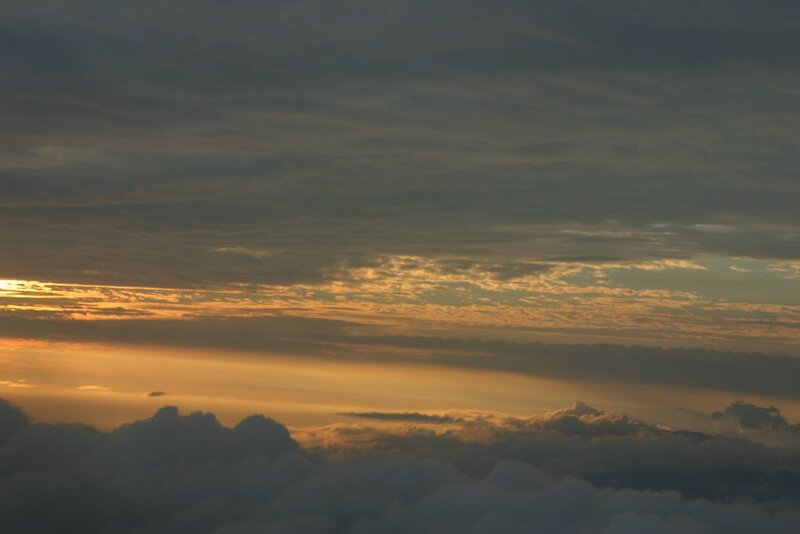 The view between layers of clouds as we returned to the Los Angeles Basin from the desert. The flight back was amazing, but I need to write a separate post about the Diamond and the glass cockpit. It’s how flying should be for any sort of cross country trip. 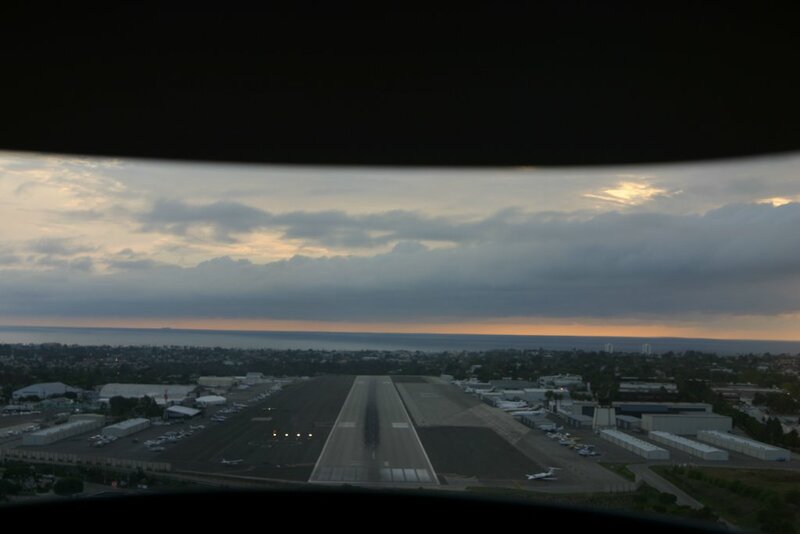 As I was landing at Santa Monica they had a Cessna holding short for me (you hear on the radio “Cessna Alpha-Foxtrot hold short of runway for landing traffic”).